Both players were celebrating the 1-0 Rossoneri win over Lazio with the jersey of defender Francesco Acerbi. After AC Milan defeated Lazio 1-0 in today’s Italian Lega Serie A fixture, a controversial topic arose. During the week, Tiemoue Bakayoko and Franck Kessie had been exchanging messages on social media with Lazio’s defender Francesco Acerbi. 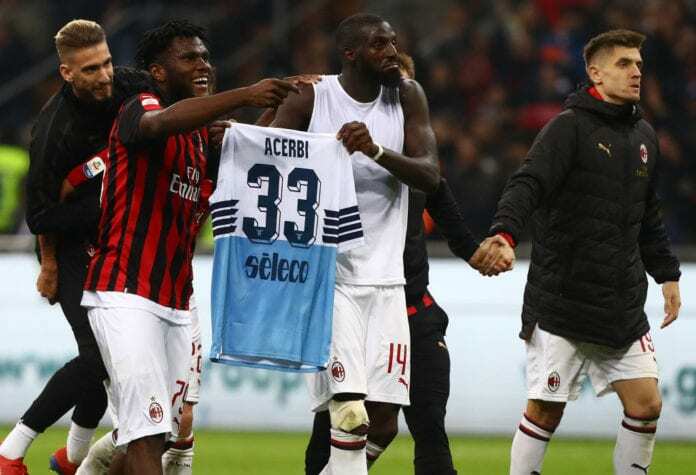 And after Acerbi exchanged jerseys with Bakayoko today, the midfielder and his teammate were celebrating with the shirt almost like it was a trophy, something which angered Acerbi and he exposed them on social media. The Rossoneri have written a statement to defend its footballers. “AC Milan wish to reconstruct the events after the Milan v Lazio game and make some clarifications. The Rossoneri players went under the Curva Sud at San Siro to salute the fans. It is a custom for them to do this,” they wrote according to Football Italia. “The sole intention was to celebrate an important victory with no intention to mock, nor be aggressive or unsporting. It was an innocent, naive response to a friendly exchange of tweets with Acerbi in the days leading up to the game,” they said. 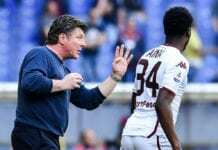 The statement read: “In realizing this innocent gesture had upset Francesco Acerbi personally [a colleague who all the Milan players respect], both Tiemour and Franck publicly apologized to him.